Soulja Boy‘s getting a visit from cops to kick off his weekend — deputies are at his house looking for evidence in that alleged “kidnapping” case … TMZ has learned. Law enforcement sources tell us … the Ventura County Sheriff’s Department served a search warrant Friday morning at his crib in Agoura Hills, CA — about 30 minutes outside of L.A. — in connection with the allegation made by a woman named Kayla. TMZ broke the story … Kayla, who had dated Soulja, claims he tied her up in his garage for 6 hours last weekend. For his part, Soulja says she’s full of it. Our sources connected to the rapper tell us he had broken up with Kayla, and she showed up wasted at his house Friday night. They acknowledge Kayla got into a fight with one of Soulja’s female managers, but vehemently deny she was held captive, and add … Soulja never had any contact with her. 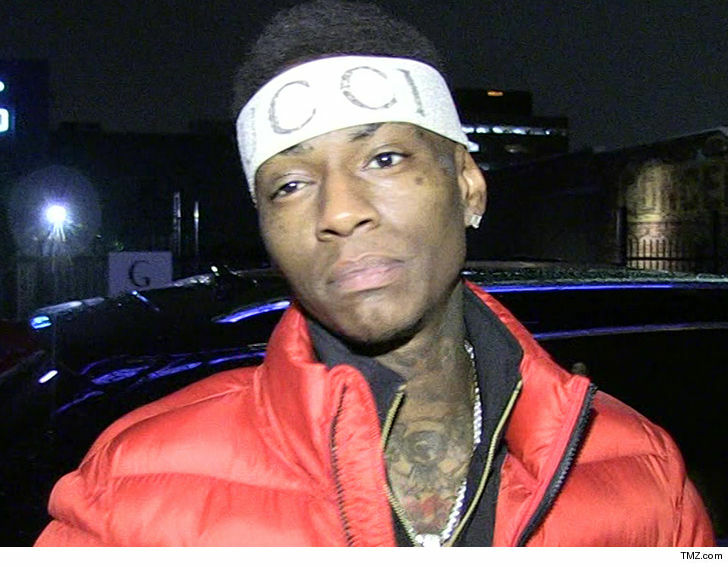 We don’t know if Soulja is home, but we’re told cops are searching his residence for any evidence in connection with the allegation.